Our babies are a blessing to us! As Christian parents, it is very important for us to bring our children to church & participate in a Baby Dedication Ceremony. We thank God for parents who are willing to dedicate their lives to the raising of their children in the ways of the Lord. As parents, we must be vigilant from earliest childhood to stress the importance of God’s presence in our lives. This must be done not only by our words, but by our actions. Parents must model their Christian life before their family. At Solid Rock, we have baby ‘dedications’ or ‘blessings’ & in place of ‘baptisms.’ A baby dedication is a ceremony which includes praying for God’s blessings to be upon both the baby & the parents. Water baptism is to follow when a person is able to understand their sin & make a choice to ask Jesus for the forgiveness. Since infants are unable to do this, we do not believe it is necessary to baptize infants in water. God honors a child’s purity until they reach the age of accountability & can understand the meaning of salvation and personal sin. If you are interested in having your child dedicated at Solid Rock, you can either complete the online application below or download the paper version here, print it, & return it to a pastor. How long have you attended Solid Rock? 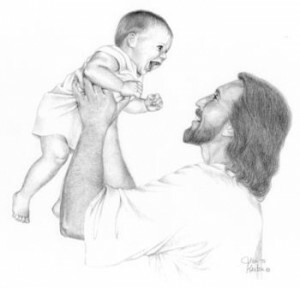 Do you recognize that your child is a gift from God? Do you recognize that you need God's help in raising your child? Raise your child in ways of the Lord? Pray for your child regularly? Seek at an early age to bring your child to a saving trust in Christ as Savior? Is it your desire to dedicate your child to God for His purpose and blessing for your child's life? Is it your desire to dedicate yourself to God to fulfill your responsibilities as a parent? Would you like to talk to the pastor before proceeding any further? enter the letters you see into the box below. Thanks!